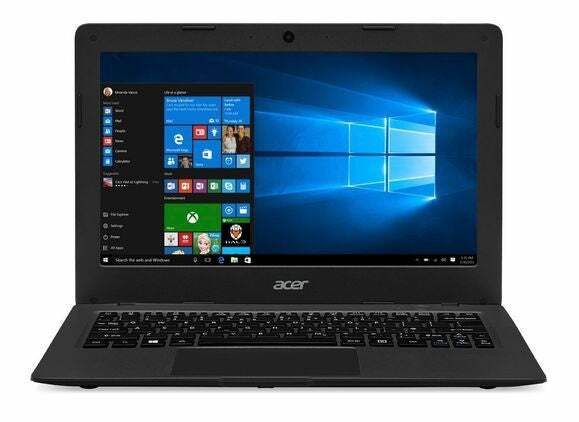 Microsoft hopes low-priced Windows 10 laptops like Acer's Cloudbook series will lure customers away from purchasing Chromebooks. Acer isn’t wasting any time with rolling out its low-priced Windows 10 notebooks. On Tuesday, the Taiwan-based computer maker announced the new Aspire One Cloudbook series,and it’s aimed squarely at the Chromebook crowd. Acer is starting with 11- and 14-inch models dubbed the Cloudbook 11 and Cloudbook 14, with prices starting at $169 and $199 respectively. The 11 rolls out in the U.S. this month with the 14 to follow in September. A specific launch date was not announced. With prices as low as they are, it should come as no surprise that you get what you pay for with these clamshells—luxury road warrior toys these are not. Both laptops come with Intel Celeron processors, 2GB of RAM, and 1366-by-768 resolution. The 11 comes with either 16GB or 32GB storage, and the 14-inch comes in 32GB or 64GB configurations. When it comes to ports and connectivity, the Cloudbooks aren’t too shabby. There’s nothing as fancy as USB Type-C, but you do get HDMI, USB 3.0, USB 2.0, 802.11ac, and an SD expansion slot. To help boost your Cortana experience, the laptops come with dual digital microphones with “enhanced digital signal processing (DSP)” to better cancel background noise. As you may have guessed by the limited storage, these devices are all about connecting to your documents stored in the cloud. As is typical for new Windows devices these days, the Cloudbooks come with a one year subscription to Office 365 Personal, including one terabyte of OneDrive storage for the 32GB and 64GB models. The 16GB Cloudbook 11 includes a voucher for another 100GB of OneDrive storage for one year. For laptops on the go, even 100GB of OneDrive storage is more than enough to swap files back and forth from the cloud to local storage—especially if you store your music on OneDrive and stream it through Windows 10’s Groove Music app. Why this matters: Microsoft wants to encourage PC makers to create laptops like Acer’s Cloudbook series to combat the growing presence of Chromebooks. 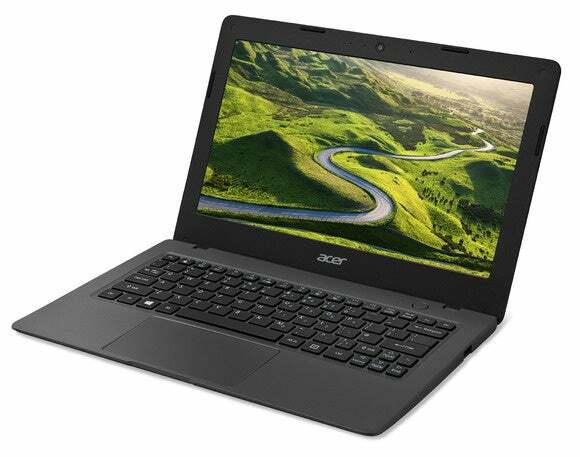 Largely popular in educational institutions, Chromebooks, which Acer also makes, are starting to gain a foothold in the consumer market. Forty percent of Chromebooks sold worldwide in 2014 went to U.S. consumers, according to market research firm Gartner. Last year, around 5.7 million Chromebooks shipped worldwide, Gartner said, and by 2016 that number will jump to almost 8 million. That’s nothing compared to the more than 300 million Windows PCs that ship every year. Nevertheless, puny, fast growing market share didn’t stop Microsoft from combating Linux-based netbooks, and it won’t stop the company from trying to fend off Chromebooks. Typically, Windows laptops that ship with underpowered specs like the Aspire One Cloudbooks are a bad choice. However, our crazy experiments show that Windows 10 will run on all kinds of poorly powered hardware. If we can get a reasonable Windows 10 experience from a 7 year-old Vista machine, these Cloudbooks will probably be just fine at running Office 2013, browsing the Web, and streaming music and video. That’s more or less what you’d expect from a Chromebook—minus Office—which is what the Cloudbooks are meant to match.